POETRY CLUB 2 Lines Poetry 2 Lines Sad Poetry Heart Touching Image Poetry Heart Touching Poetry Image Poetry Sad Poetry Udaas Shayeri Urdu Shayeri Chalty Rhen Gy Qafly Mery Baad B Yahaan ...! 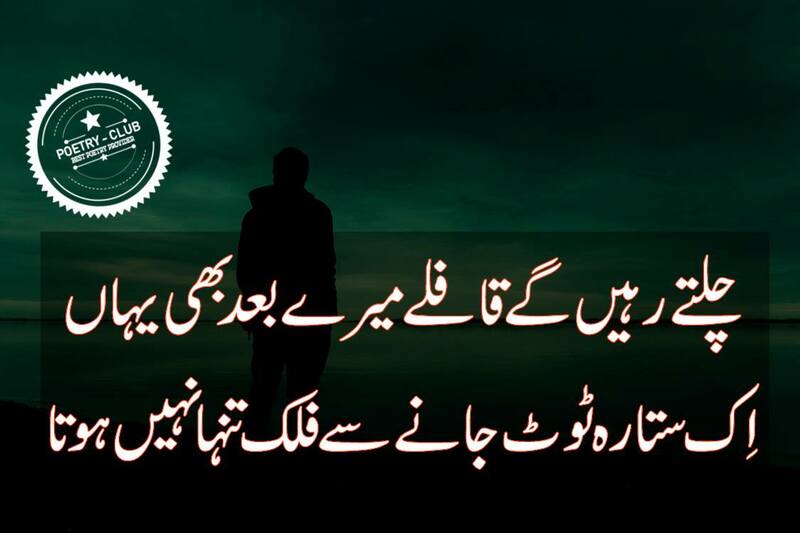 Chalty Rhen Gy Qafly Mery Baad B Yahaan ...! Ik Sitara Toot Jany Sy Falk Tanha Nahi Hota ...!